The story behind the Old Cornish Estate is one of love, tragedy, and a lavish mansion reduced to stone and rubble. 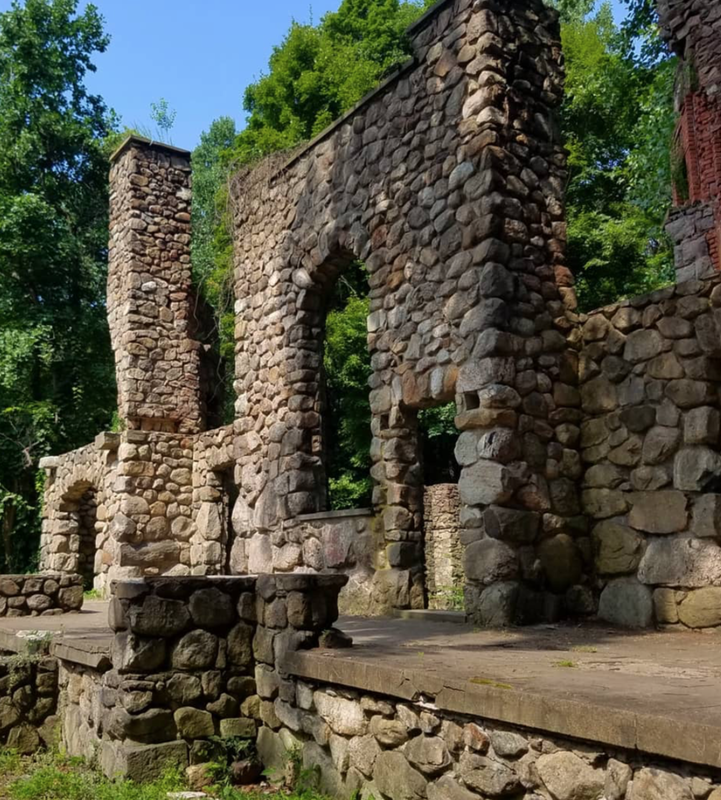 An easy hike near New York City leads you to these impressive ruins of an old diamond dealer's estate. Just an hour drive away from Manhattan (on an optimistic day of limited traffic) or a slightly longer journey via Metro-North, you'll find the quaint and sleepy town of Cold Spring, New York. The town gives me all the same vibes as the villages in my home state of Maine -- local shops peddling antiques, maple and oak trees changing colors in the fall, and historic homes boasting all of their original character. For it's close proximity to the bustle of New York City, it's truly a departure from all of the concrete and craziness. 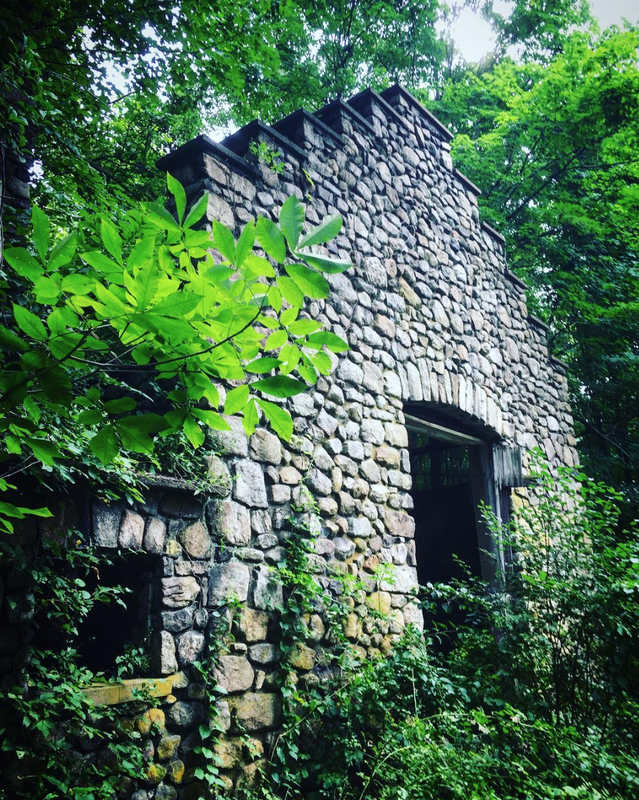 If you're searching for more adventure than exploring the local wares in the adorable downtown area, venture out to the hiking trails of Cold Spring to explore the impressive ruins of the Old Cornish Estate, also known as Northgate. According to the New York Times, the mansion in the woods was built for a diamond dealer named Sigmund Stern in the early 1900s. It was a lavish property complete with a garage, swimming pool, and bountiful gardens. However, the estate is more commonly associated with it's final residents, Edward and Selina Cornish. Atlas Obscura shared that the Cornish family enjoyed parties and entertaining their friends at the mansion. They were in love until the day they both died -- just two weeks separated their deaths in 1938. Before his death, Edward Cornish hoped to donate the property to the State of New York for protection against commercial development but his request was rejected. The property remained in the family and was loosely maintained through the 50s until a fire reduced the once lavish home to a total loss. All that remains of the Cornish Estate after the fire is the stonework and the many fireplaces that once warmed the home. After a 4-mile hike into the woods to fine the Old Cornish Estate, it's a special experience to imagine the wealthy family playing dress up and serving friends inside their impressive home. It's an eerie feeling to stand among the stacked stone of the great room walls and trace the intricate tile work around the still-standing hearths. 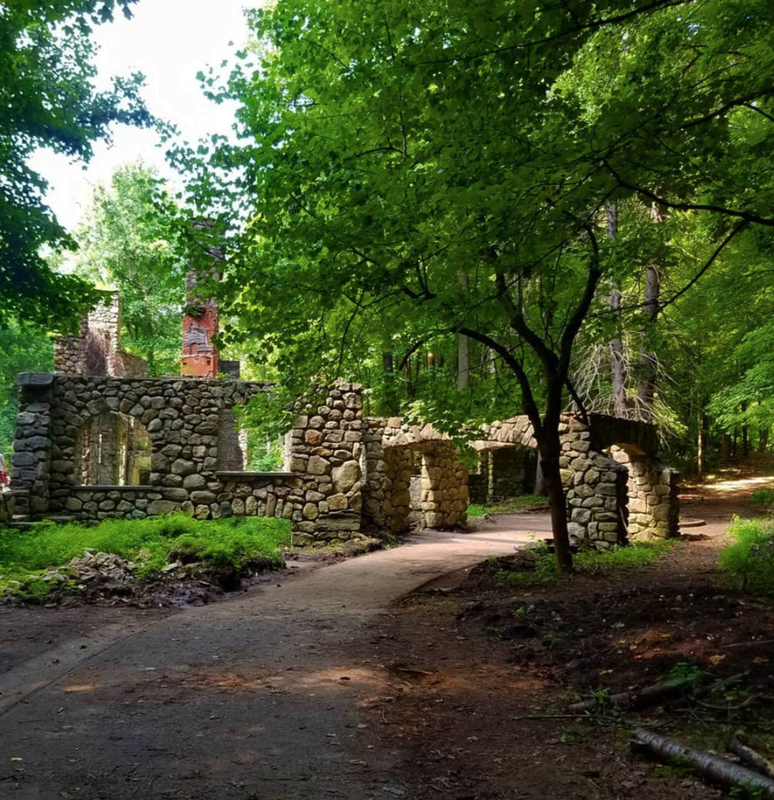 If you need to get out of the city for a day of scenery that doesn't include high-rises and food carts and pedestrian walk signals, make Cold Spring and the Old Cornish Estate a priority on your adventure to do list.